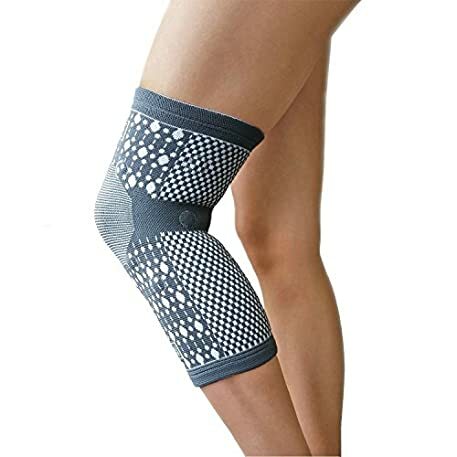 Vigor Force knee support sleeves are manufactured with Moisture-wicking material and semi-precious mineral Tourmaline infused fabric that protects knees, keeping them dry and comfortable whether your wearing it all day or all night. PROVIDES EXCELLENT COMPRESSION AND SUPPORT FOR MUSCLE STIFFNESS and sore joints from overworked knees, relief from other chronic pain. Perfect when playing sports, hiking, climbing, yoga, or standing for long period of time. 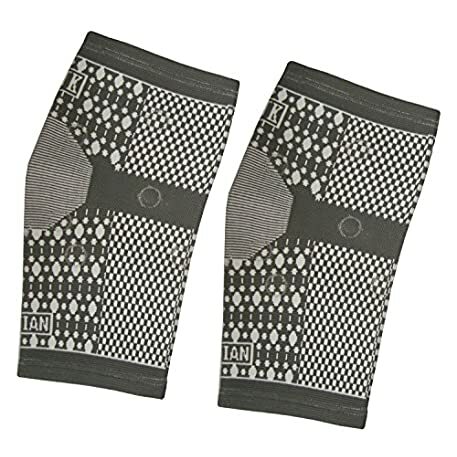 Knee sleeve is manufactured with Moisture-wicking material and semi-precious mineral Tourmaline infused fabric that protects knees, keeping them dry and comfortable whether your wearing it all day or all night. Strategically placed 13 magnets draw an iron-rich red blood cells to rejunvenate the affected area. Tourmaline have antibacterial and deodorizing effect characteristics it eliminates odors similar to copper infused sleeves using an antimicrobial surface, keeping your knee fresh. Tourmaline natural infrared heat warm and soothe your knees and leg muscles ligaments, cartilage. FOR MEN AND WOMEN one size fits most knees from Small, Medium, to Large – Measure the circumference of your thigh 5 inches above your knee, if its between 15 – 25 inches then It should fit perfect.